Sorry the Jimmy Kimmel clip above didn’t answer this for you. 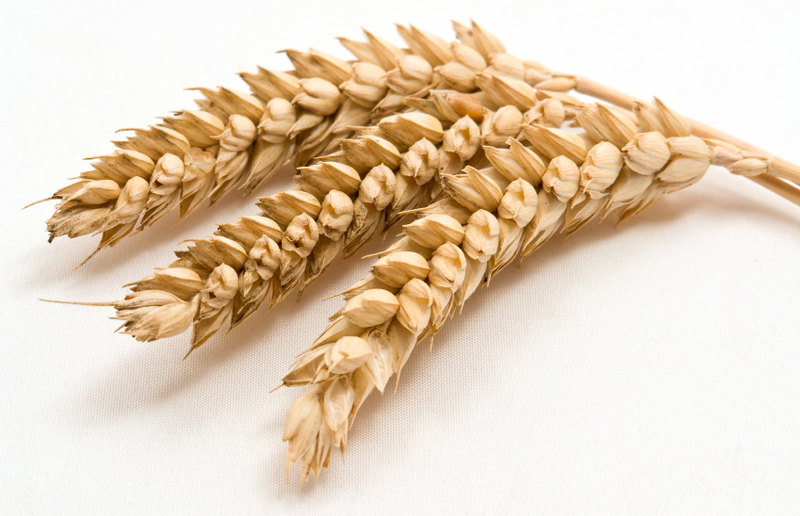 Gluten is a protein made from glutenin and gliadin found in barley, rye, and wheat plants. Our bodies need protein, and the building blocks for making proteins called amino acids, both non-essential (made by our bodies) and essential (ones our body cannot make and need to be consumed from our diet). However, in the last 30 years the way crops are grown have changed drastically, and maybe not for the better. The herbicides and pesticides have been extremely effective for increasing crop yield making farmers very happy. So what are the effects on us? Dr. Seneff has developed a few studies, one in particular. She examined the effect of Roundup, a very well-known weed killer thanks to a chemical called glyphosate. Glyphosate stops three very important amino acids to be developed in plants (weeds) making them starve and become ill from weakened immune systems. Crops have a manmade-modified gene to make them resistant to the Roundup, allowing them to survive. The glyphosate is then left on our edible grains for us to consume. Once consumed, glyphosate and gluten will bind to aluminum in our guts. The aluminum is absorbed into our bodies from consuming certain baking sodas or applying deodorants, even cosmetics and vaccines. When these bind they are then able to leave the body’s intestines creating a hole as they pass. This action will develop into Permeable Gut or commonly known as “Leaky Gut Syndrome.” When the gluten protein is in the blood stream your body recognizes it as a foreign invader and will attack it. Antibodies are created and will continue to attack gluten any time it enters your body. The end result is making you feel ill. When the gylphosate-gluten-aluminum bound toxin bulldozes its way through your intestinal lining it is creating inflammation and can cause abdominal pain, brain fog, changes in bowel movements and other symptoms. Other issues arise because any protein that passes through the new hole will create another immune response. This process now explains other food intolerances that were not common before either. Glyphosate can also cause our normal gut flora to create toxic alternatives that actually kill off our healthy gut flora and allowing overgrowth of harmful bacteria to take over. This can cause massive diarrhea, abdominal cramping and damage to your gut. If such symptoms occur, seek medical attention immediately. How do we avoid this from happening? Since Glyphosate is in Roundup, an inorganic herbicide, we can choose organic foods. Certified organic labeling ensures that there were no inorganic pesticides, herbicides, or GMO (genetically modified organism) used in the growing process. Dr. Seneff reports that a few symptomatic people tried consuming only organic wheat with gluten. After a short time, their symptoms were resolved. However, this did not work for everyone. Depending on the severity, the continuous intake of gluten without a break may not allow your body to stop creating antibodies to attack the gluten protein. As an integrative RD (registered dietitian), I suggest taking an amino acid called L-glutamine 1 to 2 grams twice daily to help restore the holes in the leaky gut. It takes about 20 days for the gut to heal with L-glutamine, so stick with it. And remember, for as long as you are consuming GMO produce, which always use Roundup, you will always be creating new holes in your gut. I love the use of probiotics. We always need to replenish our guts either naturally through fermentable foods like miso, sauerkraut, or yogurt or through supplements. If you choose a supplement, make sure there are at least 10 different strains. You may need to test different brands as they all differ and may benefit you differently. You may also want to consider an elimination diet. Rather than going on a gluten-free diet because friends say it will help you lose weight (false) or because it’s just bad for you (definitely false), try a two-week gluten-free diet. At the end of two weeks, slowly reintroduce gluten back in and observe your symptoms if any. If there are any symptoms, wait another three days before trying gluten again. If the same symptoms result, then a gluten-free diet may be right for you. If you are gluten-free now and know you have issues, try only organic to be sure there is no exposure to glyphosate. If you are considering an elimination diet, you may want to consider the FODMAPS diet. Numerous studies have found that people who follow a gluten-free diet were not actually having issues with gluten, but rather a fermentable sugar where gluten can also be found. Ask a dietitian to help walk you through the FODMAPS diet as it takes careful preparation and planning to find the culprit ruining your digestive system. We cannot nourish our bodies with frakenfoods. Michener, PhD, Martin. “Gluten Intolerance and the Herbicide Glyphosate: A National Epidemic.” Health Impact News. N.p., 03 Nov. 2014. Web. 28 Dec. 2014.